Crash Course Astronomy: Premiere is Thursday, Jan. 15, 2015. 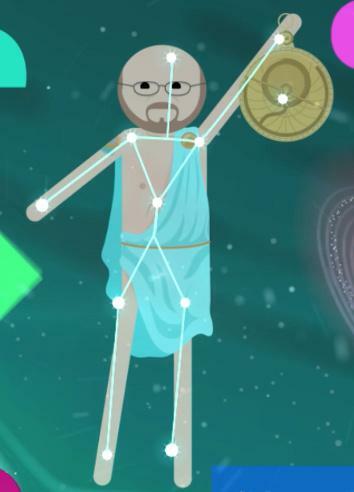 Crash Course Astronomy Premieres Thursday, Jan. 15! Look! I’m a star! Or a collection of them, called a constellation, which you’ll learn in the series. I am extremely pleased and excited to announce that the online video series I’m doing, Crash Course Astronomy, premieres next Thursday, Jan. 15, one week from today! The weekly series, done under the auspices of Hank and John Green’s Crash Course educational videos and sponsored by PBS Digital Studios, will cover basic topics in astronomy like motions in the sky, naked-eye observing, the planets, eclipses, stars, galaxies, and the whole Universe (that last one may take more than one episode). The videos will be available free to watch on YouTube, so you’ll be able to subscribe there. I’ll also embed the new one every week here on the blog, so you’ll be sure to see them. We have more than 40 episodes planned, so get comfy. Our team has been working really hard on this for some time now, and I’m really proud of what we’ve created. They’re fun and informative, and my hope is that they’ll get you excited about astronomy … and maybe you’ll learn a thing or two as well. I know I sure did while I was writing them. I love this stuff, I really do, and I can’t wait to start this new way to share the Universe with you!